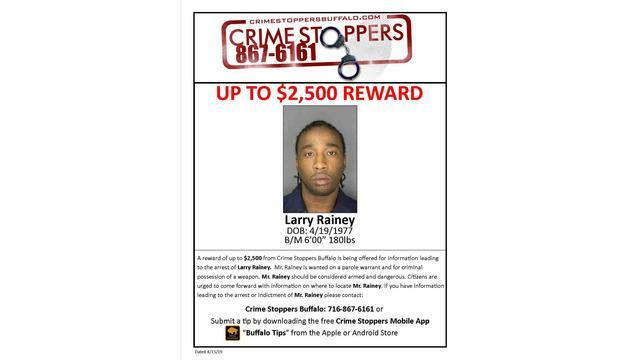 BUFFALO, N.Y. (WIVB) - Crime Stoppers is offering a reward of up to $2,500 for information leading to the arrest of Larry Rainey who is wanted on a parole warrant and criminal possession of a weapon. Rainey is considered armed and dangerous, according to Crime Stoppers. Anyone with information on Rainey is asked to contact them at 716-867-6161 or through their Crime Stoppers mobile app.